Lavender oil is known to have antiseptic and anti-inflammatory properties, which can help to heal minor burns and bug bites. Research suggests that it may be useful for treating anxiety, insomnia, depression, and restlessness.The scent of Lavender is not only relaxing it also comes with a number other uses too. Drop a spoonful in your bath and indulge your senses, feel the smooth Shea butter. Research shows that lavender body butter can promote hair growth by up to 44 percent after 7 months of treatment. Shea butter is considered as one of the best anti-aging agents for the skin. It stimulates the production of collagen, the youthful scaffolding protein in the skin. The vitamins A and E found in this butter keep the skin supple, nourished, and radiant. If used regularly, it reduces wrinkles and also prevents premature wrinkles and facial lines. Its anti-aging properties can also be attributed to its ability to increase circulation to the skin and promote cell renewal. These vitamins, along with catechins, also exert an antioxidant effect against free radicals that damage the skin. These free radicals are often found in our environment in pollutants and irritants. The sun’s rays can also increase the free radicals in our skin, which can easily damage the skin cells. The cinnamic acid esters in the shea fat prevent damage from these compounds by giving your skin an antioxidant boost. For itching skin, both the moisturising and the anti-inflammatory properties of shea butter prove to be beneficial. Dryness can cause your skin to start peeling and/or become flaky. It can cause the skin to itch. The moisturising fatty acids of shea butter can provide relief by supplying the skin with the oils it needs. If the itching is due to a skin condition like psoriasis, the anti-inflammatory activity of shea butter works really well to alleviate it. The non-saponifiable matter and vitamin F in this butter are vital ingredients for maintaining the skin’s elasticity. Shea butter also improves the production of collagen in the skin. Thus, its application restores the natural elasticity of the skin besides hydrating, softening, and beautifying it. Restored elasticity also ensures reduced wrinkles and blemishes. Shaving hair using razors can often leave your skin irritated and itchy. 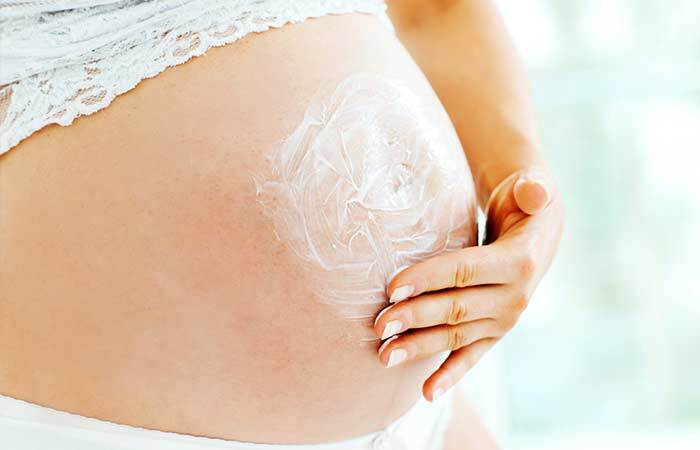 At times, it might even develop bumps post shaving as a result of the irritation. Shea butter can help reduce this as it moisturises and soothes the irritated skin. You can also apply the butter a day prior to shaving to smoothen the skin and hair. This will make the shaving process easier and faster and doesn’t leave any irritated spots behind. Shea butter is often used as a base in ointments or creams prepared commercially for stretch mark treatment. This is because it can dramatically help prevent and reduce stretch marks formed during pregnancy due to weight gain and/or weight loss. These marks are formed when the skin stretches beyond its elastic capacity. The application of shea butter will restore the natural elasticity of the skin and also improve collagen production. It is a natural emollient. Daily massage of the affected area with this skin healing butter can lighten stretch marks. Unrefined shea butter is an excellent natural moisturiser that is devoid of chemicals. Thus, it is ideal for baby care as besides being gentle and soft on the skin, it is specially adapted for the delicate and sensitive skin of babies. It can be applied after a bath and also used for healing eczema or diaper rash on the skin of babies and toddlers. Dry skin can start to overproduce sebum (your skin’s natural oil) to compensate, leading to clogged pores and acne formation. Lavender not only moisturises skin, but is also antibacterial and can kill bacteria that penetrate your pores. That makes Luscious lavender Shea butter body butter perfect for preventing and also healing acne. I've stocked up on my supply and encouraged all my contacts to buy the Dr Shea products. It gives life to my skin!